"In the last races we were a bit surprised and angry about what happened," he told La Gazzetta dello Sport. "But Vettel's mistakes do not happen because he's bad, but because under certain circumstances it's very easy to make the wrong choice. "At this time he and the team need to rediscover a bit of their lost tranquility," Alesi added. Ferrari's blunders look even worse in contrast to the recovery of the Mercedes team in the same period. 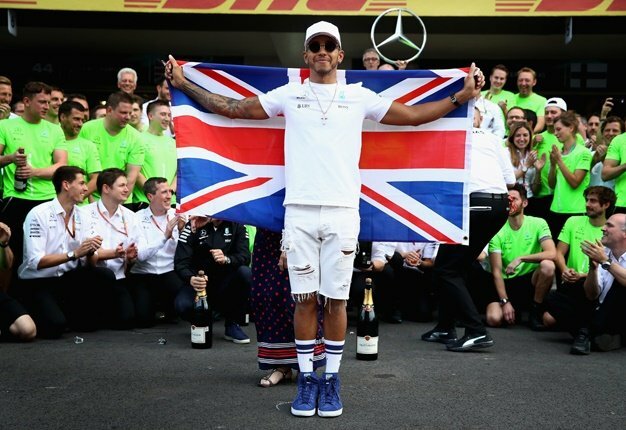 "I never thought I would be able to say it, but Hamilton really is the one who could beat Michael Schumacher's records," Liberty Media's F1 sporting boss Ross Brawn said. "You simply can't imagine how hard it is to do what we do at our level." Lewis Hamilton thinks title rival Sebastian Vettel has received too much criticism this year. "He's got everything under control. The quality that unites him with Michael and the great guys is that he knows how to win races that he should lose," the former Ferrari technical boss added. However, Brawn acknowledges that F1 is at a crossroads as he tackles the need to improve the on-track 'show'. "We want to remain the peak of motor sport, but still allow drivers to be able to fight each other and attract the fans' attention by reducing the gap between the teams. "Already in 2019 we will see some small changes, but we are thinking about really exciting things for 2020 and 2021," he said.